Are you looking for the best medium to paint your imagination out? When it comes to painting your creativity, ideas and imagination on a medium, nothing can be better than Blank canvas panels and boards. White canvas boards have taken over wooden panels and are now the main medium used for painting. They have come on top of all the mediums that were previously used for painting. Why Canvas Boards Are So Popular? Wondering why are Canvas boards so popular? The blank canvas boards and panels have come a long way and have undergone a lot of evolution. They were previously produced using hemp which has now been replaced by cotton and linen. These have, since a lot of time, become the go to material for various artists all around the world who love using this medium to express their creativity and imagination on a hard medium. The artists who work on the blank canvas panels don't have to worry about their creativity and work of art fading away because of the wrong choice of medium. The art masterpieces will stay there for years and the look and feel of your painting will remain exquisite since our white canvas boards are triple primed. And you are done. The simple ordering process takes no more than a couple of minutes and you will have ordered your blank canvas panels for your next painting. We believe in providing our customers the best quality products, hence you can be rest assured that you will get the finest quality white canvas boards that will make your paintings standout from the rest. Order your blank canvas today with CanvasChamp and get the best deals. You can also buy Canvas panels in bulk at CanvasChamp in the best prices. WE WANT YOU TO LOVE THE PRODUCT YOU GET, NOT JUST LIKE IT. The evolution of blank canvas panels/canvas boards is fascinating, as painters saw them go from being produced using hemp to being produced using linen or cotton. Blank canvas panels/canvas boards by popular vote have become one of the go-to medium for several artists around the world. The fondness for painting on a blank canvas panel/board is due to two reasons; they are extremely receptive to the brush and are highly durable. Artists using blank canvas panels/canvas boards to produce a work of art will not have to worry about their creativity fading away, as there masterpiece will last for many years to come. You can expect your painting to look exquisite because the canvas panels/boards are triple primed, referring to the amount of coats of acrylic primer applied on its surface. The seven oz cotton canvas panels/sheets are non-acidic, titanium based, fungal resistant, come in a pack of ten, and are available in various lengths. The smallest length is 6 x 8 and the highest length is 36 x 48, but all the sizes have the same level of thickness, which is 1/8. The texture of the canvas panels/boards is fine, making it perfect for artists who like to create detailed work of arts. As an artist, what are the things you judge blank canvas panels/boards by?—the quality, the texture, the length, and the thickness. 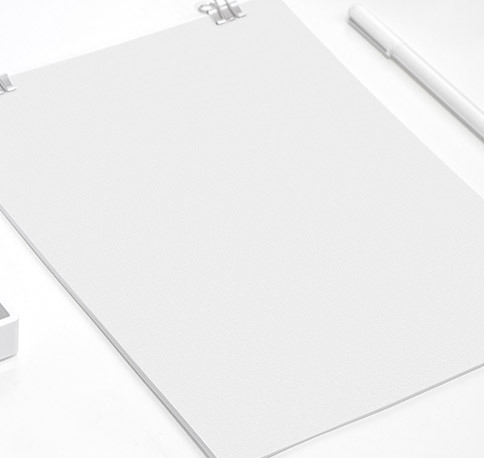 If you are a master creator who likes to produce detailed masterpieces, our blank canvas panels/canvas boards will not disappoint you one bit. They are produced only using the best and most durable material. 7 oz cotton was used in the production of these canvas sheets. The cotton provides the canvas panels/boards with its supreme quality of handling the most detailed and carefully placed brush strokes. Beginners and sketchers will immediately be fans of this canvas due to its ability to suit a variety of painting styles. 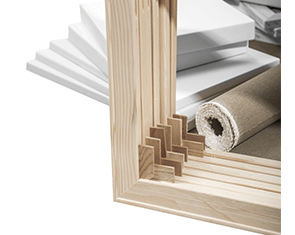 Other qualities of our product that are sure to impress you even further are it being triple primed, fungal resistant, non-acidic, and titanium based. 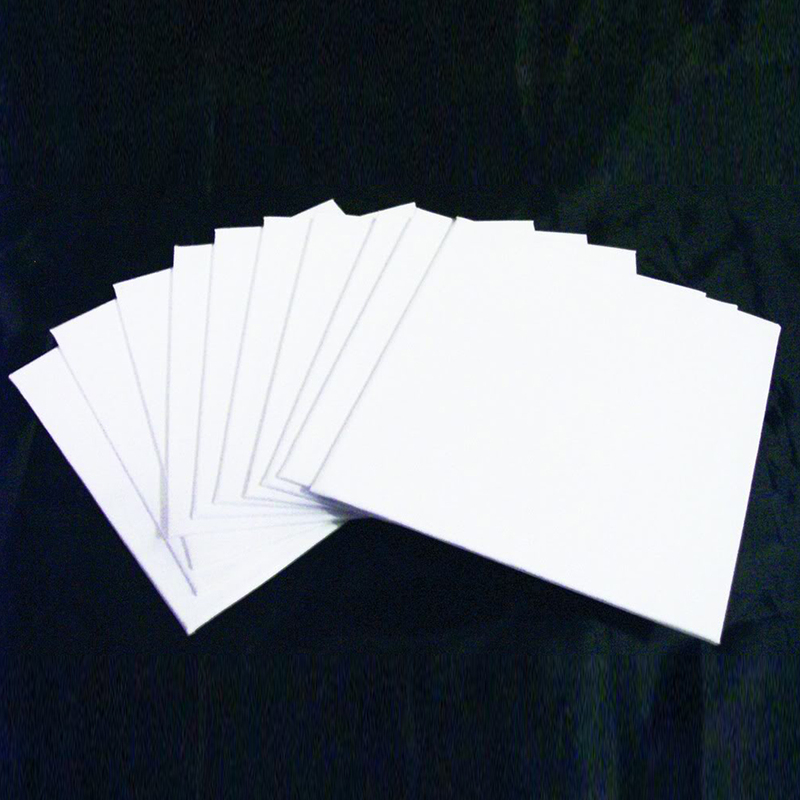 The blank canvas panels/canvas boards come in a packet containing ten sheets. Each sheet’s thickness is the same, 1/8 and we have a wide selection of canvas panels/boards, ranging from lengths of 6 x 8 to 36 x 48. The price of the blank canvas panels/canvas boards vary according to the length, but overall are affordable. If you want to unleash your creativity, you will not have a better canvas sheet to do it than ours! Ask about Blank Canvas Panels / Boards and get answer in email. *What do you want to know about Blank Canvas Panels / Boards? Q: I received the Blank Canvas Panels. The canvas is cut around the board, it is NOT folded to the back of these panels. The corners are lifting up already because our environment is very dry. I am not happy that I bought these panels on the advice from your staff that the canvas is wrapped to the back. You should state in the description that the canvas is cut even with the front of the board. Then you should show a picture. This is NOT what I wanted and NOT what I ordered. Q: Are the Canvas Panels a folded corner or are they cut?